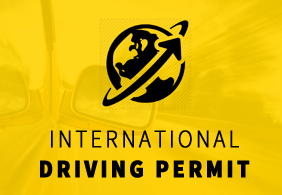 The International Driving Permit (IDP) is recognized worldwide as a valuable document identifying motorists as legally-licensed drivers, in the country they are travelling. The International driving Permit (IDP) is recognized in many countries, and IDP could facilitate convenience when renting a car. The IDP contains translations of driving terms used in various languages and can help drivers communicate with car rental companies and other authorities. The IDP is also a useful form of identification as it contains a photograph of the driver. Applicant does not hold a valid Indian Passport and driving license from the local issuing authority of the applicant’s location. (Currently, WIAA offers this service at Mumbai, Pune & Ahmedabad). P.S. : WIAA is the only authorized organization to issue IDPs in India apart from the local RTOs.. It has been found that some third parties are selling IDPs that are not genuine. We wish to notify members of the public that WIAA is the sole issuing authority, apart from the RTOs, recognized by the FIA and the State Government for the 1949 Convention International Driving Permit. It is a criminal offence to issue, handle or be in possession of an illegitimate IDP. Internet surfers are advised against applying for IDPs that are being sold illegally on the web. The sellers of these forged documents are not only breaking the law but are also endangering the identity of the applicant. Indian driving license, issued at Mumbai / Pune / Ahmedabad for the respective location of application. If you are travelling to North America, then you might need the AAA membership card for fabulous discounts while you are in North America. Contact us for more details. Click here to visit AAA website. Make sure you are Road Safe. is not party to the 1949 Convention on Road Traffic, but recognizes 1949 International Driving Permits. the provisions of the 1949 Convention were extended to this territory prior to Independence, but the now state has yet to confirm officially that it accepts these provision. However it does recognises 1949 International Driving Permits. is not party to the 1949 Convention on Road Traffic, but recognizes 1949 International Driving Permits. Certain formalities must be accomplished on arrival. 1949 International Driving Permits are valid for one year from their date of issue. However, the state in which the visitor is driving may limit the period during which an International Driving Permit is recongnized for each visit of that state. In any case, the length of the visitor’s stay is determined by the validity of his visa or authorized length of stay as a visitor. Don't have a driving licence? You can apply for new driving licence through WIAA. Click here to know more.